Art is everywhere. – Jengadi Jean Co. Here is a fun, simple idea you can do with virtually any book cover. I think it best suits kids’ books though! Think about turning a book cover into a piece of art. Where I work, someone was throwing away the plastic covers to books ( the kids immediately destroy them….) 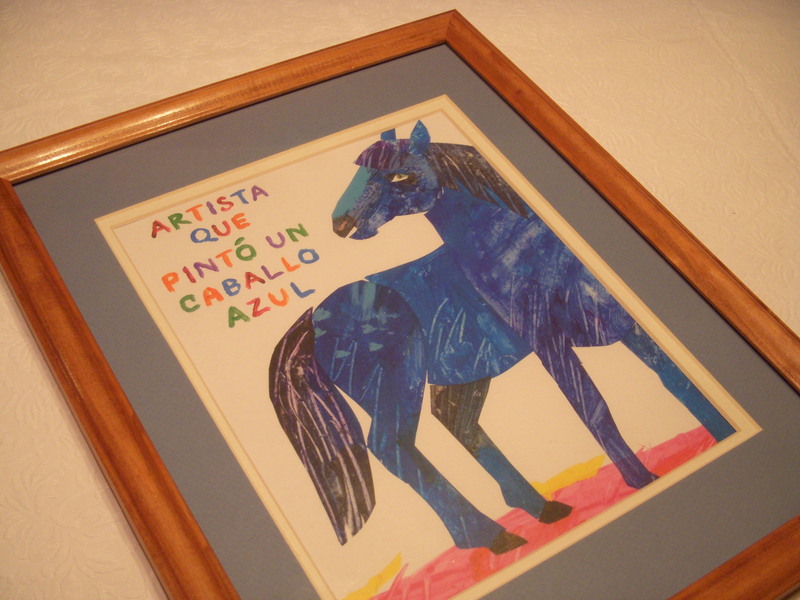 so I took a sweet Eric Carle one at home and made it into a piece of art. Super easy and cheap! 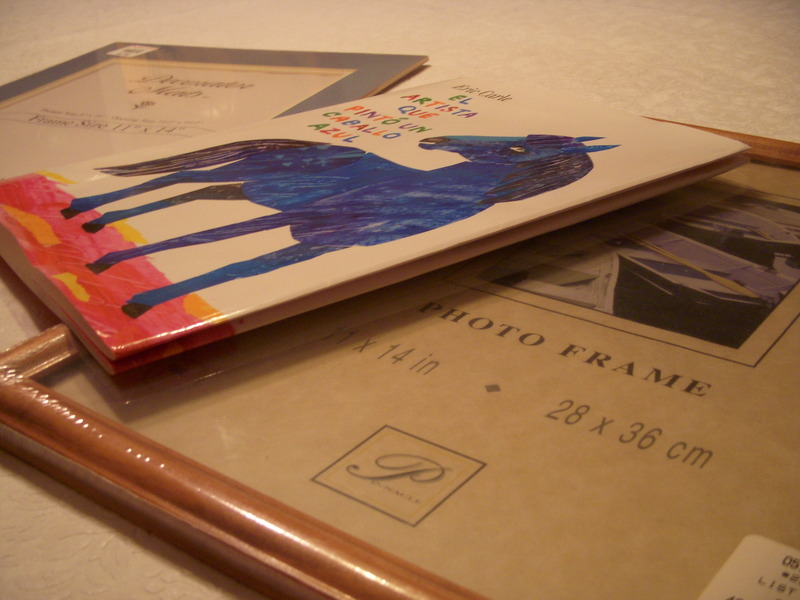 Take any old book cover, add a matte and/or frame (Heck, even grab one from the dollar store or Thrift store to make this uber budget friendly) and there you have it a fun piece of art for a kid’s room, art room, any room!